Brick Township will host two pump-out boats on local waterways through a county program that has been extended into 2015. The Brick Township council voted in favor of entering into a shared services agreement with the county last week, and on Wednesday, the Ocean County freeholders indicated at a work session meeting they will approve the agreements at their general meeting next week. Two pump-out boats, the Bay Saver and Bay Defender, will be docked at Traders Cove Marina. The boats are operated and maintained by the township by way of $20,000 in county funding per boat, per year. The county also provides a captain to run the boat during prime boating season. 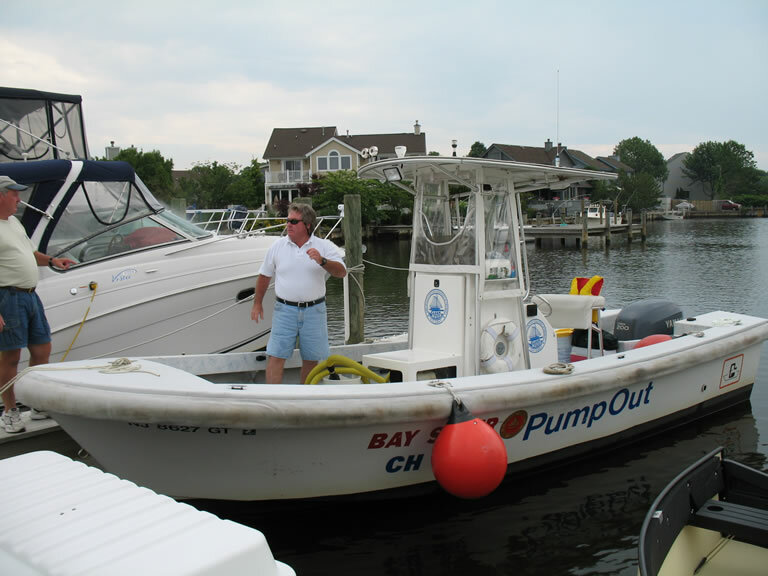 In addition to the two boats in Brick, pump-out boats will be stationed in Seaside Park to serve the central portion of the bay and at the Tuckerton Seaport to serve the southern portion. Brick’s second boat, the Bay Defender, went into service in Brick last year. The 23-foot boat can hold 420 gallons of waste. The pump-out boats help keep the bay clean by providing a free way for boat owners to pump effluent out of their vessels’ waste tanks. In 2014, more than 6,200 boaters utilized the service. A total of 128,000 gallons of waste water was treated and properly disposed. Since the program began 18 years ago, more than 1.2 million gallons of effluent has been treated and prevented from entering the bay, officials say. Running the boats each season is a cooperative effort between the municipalities involved as well as the Ocean County Utilities Authority, which treats the waste, said Freeholder Director John Bartlett. “The Ocean County Utilities Authority has been an integral partner in this program since it began,” he said. In addition to providing pump-out services, the professional captains who are at the helm of each boat act as an extra pair of eyes and ears on the water, providing assistance in emergencies and spotting hazards on the bay. The boats typically operate from Memorial Day weekend through the first week of October. They can be hailed on VHF channel nine.